Tag Archives: What Is An Eligible Education Institution? What Is An Eligible Education Institution? Do I get a tax write off for this? 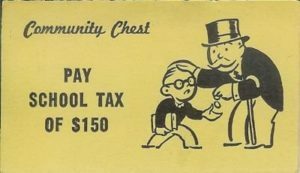 The IRS provides taxpayers certain tax breaks when you pay for education. However, there is a catch. The monies paid (i.e. tuition) have to be to an eligible education institution. What exactly is that? Read on my friend. Tuition and Fees Deduction: The tuition and fees deduction can reduce the amount of your income subject to tax by up to $4,000. You may be able to deduct qualified education expenses for higher education paid during the year for yourself, your spouse or your dependent. American Opportunity Tax Credit: A credit for tuition, required enrollment fees and course material for the first four years of post-secondary education for up to $2,500 per eligible student per year. 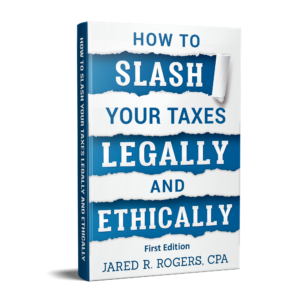 Your modified adjusted gross income (MAGI) must be under $90,000 ($180,000 for joint filers) and you must not have claimed the AOTC or the former Hope Credit for more than four tax years for the same eligible student. Forty percent of this credit may be refundable. An eligible educational institution is a school offering higher education beyond high school. It is any college, university, trade school, or other post secondary educational institution eligible to participate in a student aid program run by the U.S. Department of Education. This includes most accredited public, nonprofit and privately-owned–for-profit post secondary institutions. • See if your school is on the U.S. Federal Student Aid Code List. TIP: A small number of schools, not on the list, may be eligible educational institutions and the school can confirm that for you. This entry was posted in Tax Talk and tagged 529 eligible foreign universities, American Opportunity Tax Credit, Does beauty school qualify for education credits?, education department’s list of eligible schools, Eligible Education Institution Defined, eligible educational institution for tuition and fees deduction, Federal School Code Lookup for Section 529 Eligible Institutions, irs eligible educational institution, lifetime learning credit, lifetime learning credit foreign university, qualified education expenses, Tuition and Fees Deduction, us department of education 529 eligible schools, What does educational institution mean?, What Is An Eligible Education Institution?, What Is an Eligible Educational Institution for Tax Purposes?, What is considered a qualified education expense?, who can claim education education credit on December 1, 2018 by Administrator.